The folks at Delta are working hard to get back into the game. 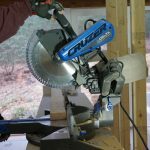 They recently introduced the brand new CRUZER miter saws. 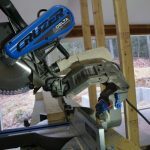 The CRUZER has a unique, robot-like arm that allows the saw to perform similar to a sliding miter saw. Similar to the Bosch Axle Glide saw the CRUZER is unique to say the least. The CRUZERS robot-like arms are constructed of military-grade aluminum and we found them super SMOOTH! 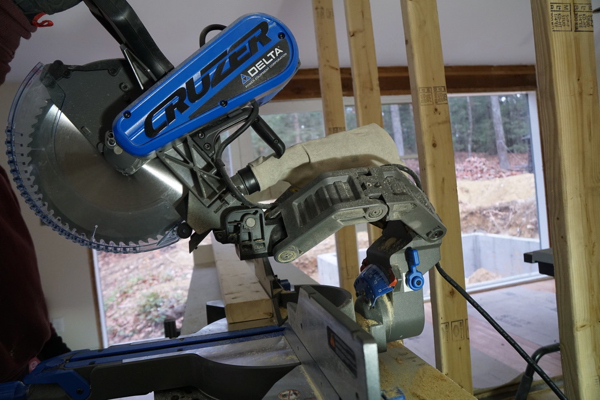 The CRUZER arm design folds, rather than slides, as you move the saw-head back and forth. Heavy-duty bearings provide unparalleled smoothness in the travel, and we were impressed. Delta also built in a tension adjustment so you can select your personalized travel tension. 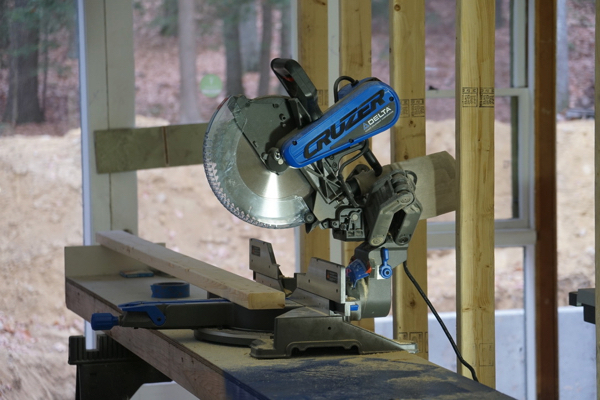 Also nice to see on the CRUZER is upfront control features that allow you to set FAST dual-bevel miter cuts. An easy-to reach bevel switch lets you bevel 45 degrees left or right. There are stops at the most popular bevel angles and an accessible override switch. The CRUZER we reviewed was the 12in. blade model, and boasts a 16in. crosscut capacity. 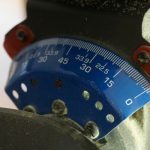 Note: You can achieve 18” if you take off the guards and fashion a wooden table to place below the wood you are cutting to achieve the 18 inch cutting capacity. The saw has a dual bevel capacity of 47° left and 47° right with front bevel release and 7 positive stops at the most popular bevel angles. 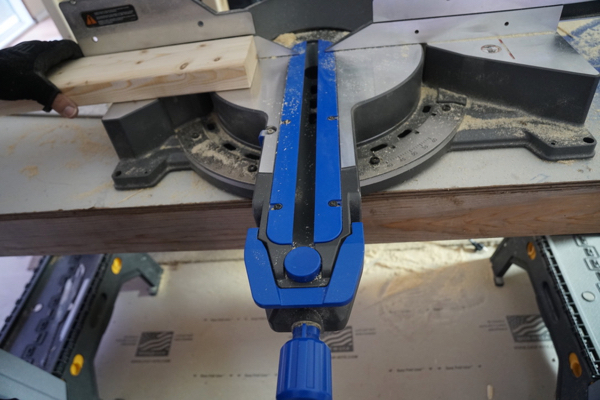 The CRUZER miters 50° left and 60° right, with 10 miter detents and positive stops. 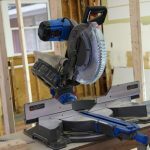 One-hand front miter controls with a push button miter detent override and front bevel controls make this saw easy to operate and adjust. The CRUZER features a pronated, molded handle and ergonomic trigger that we found comfortable for right or left hand users. The 120 volt, 15 amps, brushed motor is powerful and we had zero issues using the saw to cut framing stock. 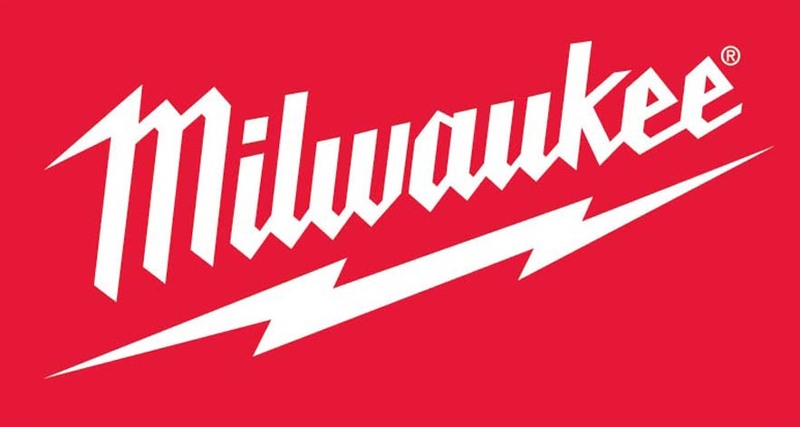 An electric blade-brake slows and quickly stops 4000 RPM blade from spinning. The CRUZER weighs 57 lbs. It is 25-1.2” wide, 21-1/2” tall and 30” deep. It is not lightweight or small, I would describe it as more robust and sturdy. We set it up on a recent remodel and left it set up for the entire project. 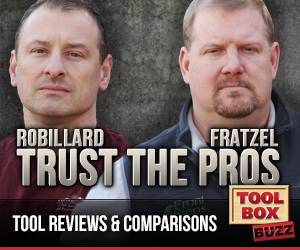 We found it to be a solid framing, remodeling and general construction saw. We’ve been using this saw daily for several month now and like it. 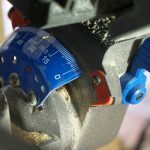 It was accurate out of the box and did not need adjustment, which is not the norm for many saws. 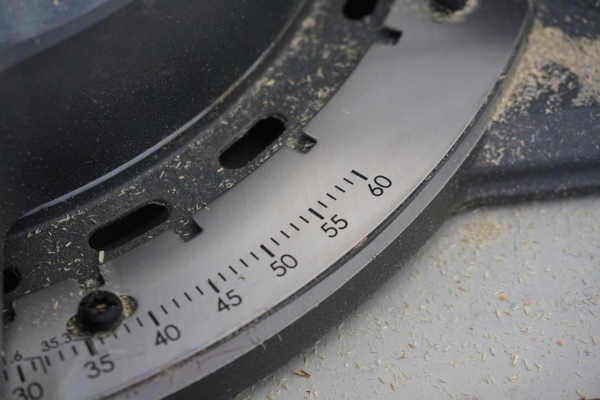 We were able to achieve accurate cuts and tight miters. The saw doesn’t have an LED light or laser guide feature. We’re not fans of lasers, but do like the work lights, and LEDs that cast shadow cut-lines. 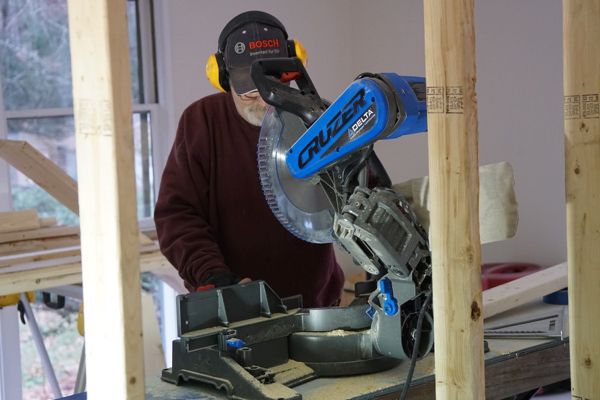 The robot-like arms allow this saw to tuck right up to a wall which is a great option for space saving, and we took full advantage of this in a small laundry room we were working in. The saw has a 7-foot cord length which we found was adequate. The CRUZER’s slide is impressively smooth and the entire crew LOVED the controls. As I mentioned earlier, the motor is powerful and this saw eats up lumber for lunch. 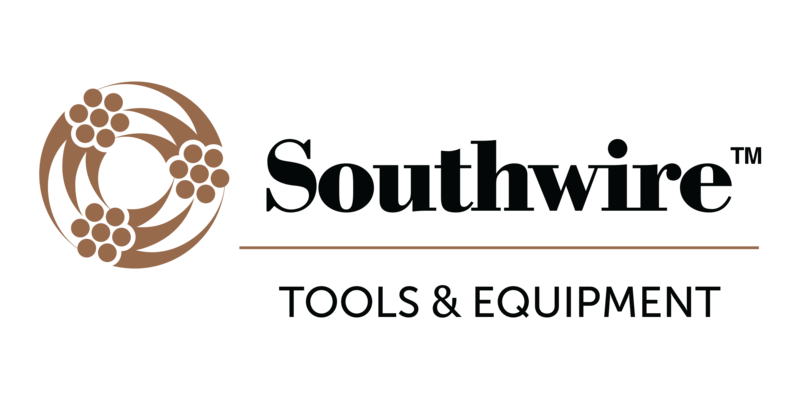 After several months of testing we have a few concerns with this saw. The saw head spring is incredibly strong and we found ourselves having to “jerk” the saw down to achieve a chop cut. We reached out to Delta and were told that the saw head spring is tested to last over 1-million cycles and will loosen up over time. 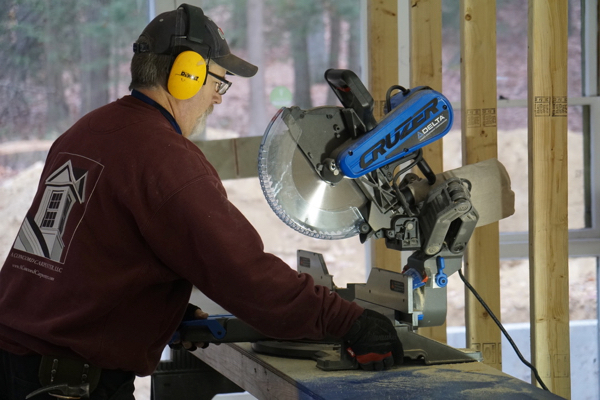 Additionally, one of our guys noticed that as a dominant right-handed person, he tended to grab the miter saw handle toward the blade side. When he would do this, and lower the saw, the blade guard hit his hand, indicating a tight clearance between the handle and the blade guard. I did not experience this, as I tend to grab the handle fully. Lastly, we notice a little bit of side to side play when the saw head was fully extended. 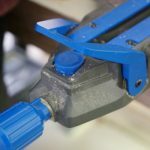 I will note that MOST miter saws have this, it’s a result of the full extension design. Even though we noticed this movement, we did not have accuracy issues, as I am always carful to push down and back straight. 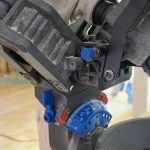 Force of habbit as a trim carpenter! 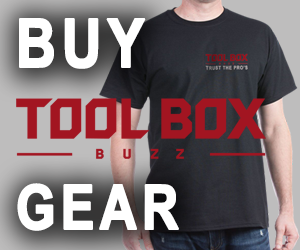 The CRUZER has a 1-1/2” dust port and comes with a dust bag that works as well as any other dust bag. When connected to a dust extractor it worked very well. 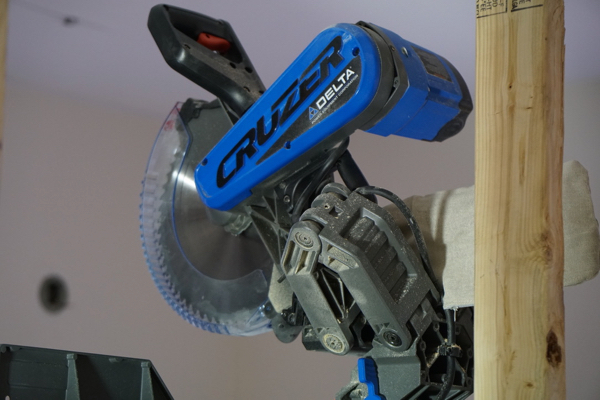 The Delta CRUZER is a solid go-to saw, especially on tougher job-sites with many users. As a trim carpenter this is good, not great, but when remodeling and framing this saw is perfect. The robust design and power of the CRUZER is where its at! The blade side-to-side play at full extension is the greatest of the three miter saws I have owned. The play is about twice as much as my Bosch GCM12SD, which I still have. 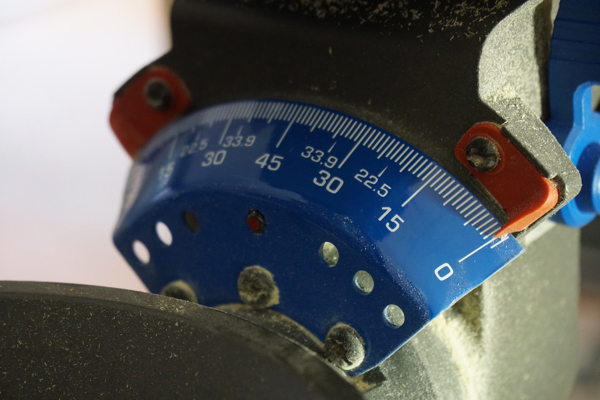 The first miter saw was a Makita and it had the least play at full extension compared to the hinge-style saws. 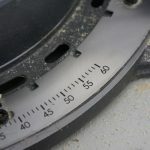 I consider it troublesome since it occurs on a new saw before any wear has taken place. The saw I received has no side extension supports for the table, and no laser. The Bosch has the extension supports but also has no laser in this country. 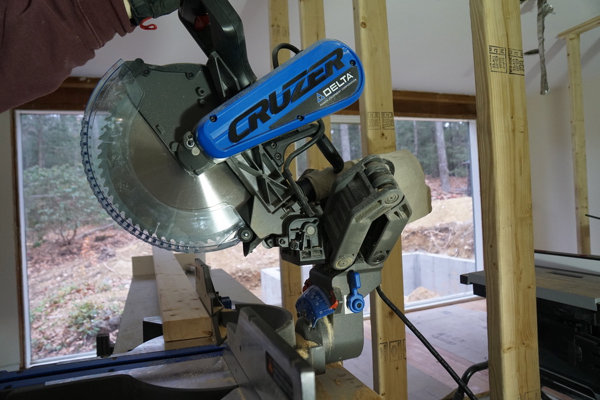 You mentioned the Cruzer was not a great trim miter saw. 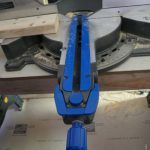 What would you recommend as a great trim saw? Can this saw be converted to Australian 240volts? I just bought the Delta 26-2250 12″ miter saw. I like the articulating arms which gives more space behind the saw at 90 degrees, as well as side to side angles. The main problem with this saw is its terrible dust collection. 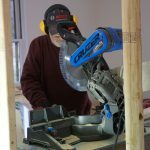 You MUST hook the saw up to a shop vac or dust collector or it throws all the saw dust in your face and around the work area. Even with a shop vac hooked up the dust collection is not at all good still throwing much of the saw dust forward and to the side. I understand that it is hard to have really good dust collection with a sliding miter saw but this saw should do a better job of it. I have owned a Hitachi 8-1/2″, and a Dewalt DW708 which did not throw the saw dust back at me. I am ready to take this saw back to the store. Larry – Most saws in this category stink with regard to dust control. I think the blade guard is part of the issue on this saw, it isn’t a “half” guard like many of the others. Good luck. 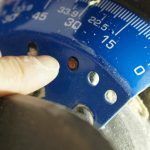 I have an update on my 12″ Delta Cruzer saw problem. I looked up into the dust collection chute and found that there are two screws holding the chute in place. I pulled the screws and the chute came right off. Now the saw dust mostly goes to the back. In my case I have a hood over my saw and the floor behind the saw is a home made funnel with a blast gate at the bottom which is hooked to my dust collection system. I also left the 1-1/4″ hose hooked to the dust collection port on top of the saw and ran it down to the grate just above the blast gate. All of this has helped greatly. Like Todd said there no perfect dust collection with a miter saw but this system helps. Next I am going to the install the automatic blast gates I just bought for all of my machines.